QUESTION: Could you please tell me whether the mulberry leaves are effective in combating type 2 diabetics? 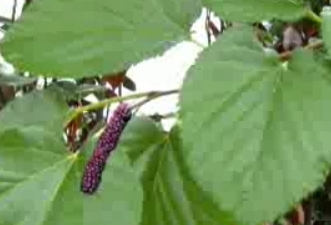 It is true that mulberry tree has shown several medicinal properties. All its parts are being used for this purpose, including the leaves, fruits, branches and roots. With regards to the mulberry leaves, there are some components that have anti-diabetic effects. Some of them include 1-deoxynojirimicin (iminosugar), polysaccharides, glycopeptides, flavonoids, etc. 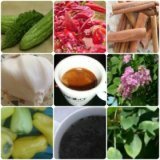 It is true that there are many studies determining the anti-diabetic effect of these components, however, their true hypoglycemic action has not been explored yet. Some of the clinical studies have found out that these mulberry leaves components can slow down the absorption of sugars from the gut into the blood. This is achieved through decelerating the diffraction of sugars in the bowel. Another effect is by inhibiting alpha-glycosidase enzyme by the mulberry component named 1-deoxynojirimicin. Thus, the post-prandial blood glucose is reduced and diabetics can safely control their disease. Some other studies have determined the crucial role of chlorogenic acid and rutin in the lowering blood sugar process. Hypertension: The flavonoids of isoprenylated group have been shown to have hypotensive effect and were reported the first active substances for such effect. of fatty acid in experimental studies on rats. Therefore, plasma triglycerides can be reduced. In addition, the use of mulberry leaf tea has been shown to stop further liver damages in the same clinical trials. Furthermore, mulberry is rich in beta-sitosterol, which has been shown to inhibit the absorption of cholesterol from the intestines. As they are rich in anthocyanin, they become a shell to the nerves to protect from toxicity of free radicals. Furthermore, as cancer is often accompanied with diabetes, the use of mulberry leaf tea has anti-cancer properties. As diabetics have low immunity, Morus alba leaf, bark, or roots have been used to combat accompanied common cold, hair loss and other inflammatory problems due to its component beta-sitosterol. At the end, although my opinions seems to be a medical lecture, I have tried to get support in clinical trials for all the good effects of using mulberry leaves tea in diabetics. Moreover, I want to remind you that mulberry leaves alone cannot do a miracle to you as a diabetic. You should follow a healthy lifestyle and diet regime together with regular uses of other herbs for diabetes. At the end, you will get the desired results if you really work hard and being highly-motivated.